Net Promoter® Score (NPS®) is one of the most common customer experience metrics used by companies around the world. 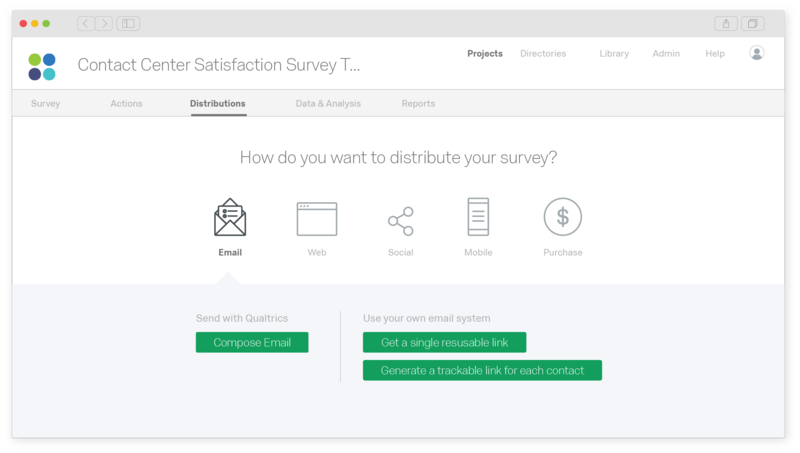 With Qualtrics’ NPS software you get a simple, flexible and powerful platform to engage your customers. 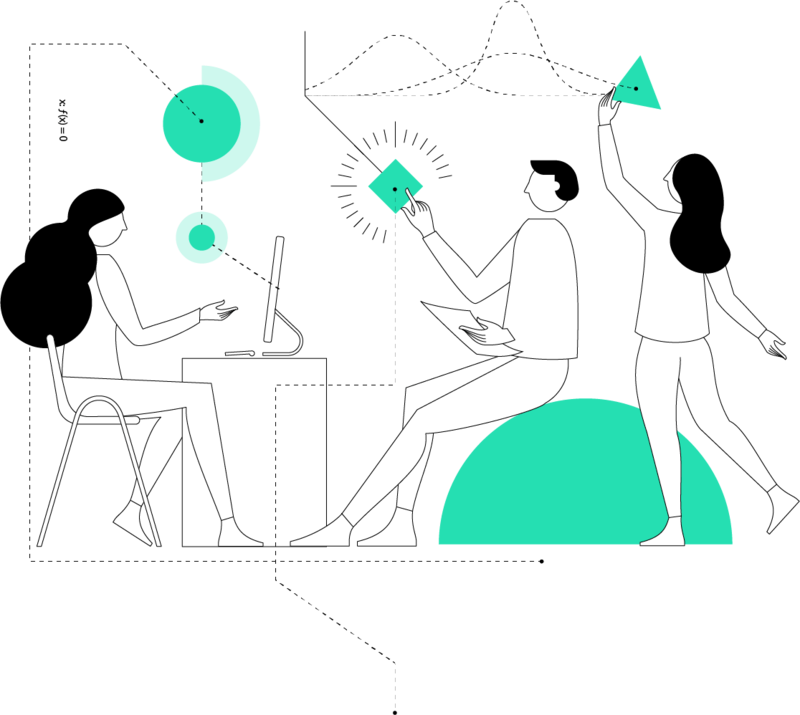 Move beyond legacy feedback collection and start conversations with customers wherever they are through apps, websites, email, SMS, chat bots and many more. Identify at-risk customers using churn data and experience data to step in and improve the experience with prediction modelling powered by iQ. Activate your organization by embedding CX into your employees’ daily routines and the tools and processes they already use. No matter their role or location, everyone can effectively interact with and take action on customer insights. Ready to improve your NPS score? Use your NPS® data to make powerful predictions about customer behavior, such as whether they’re at risk of churn. 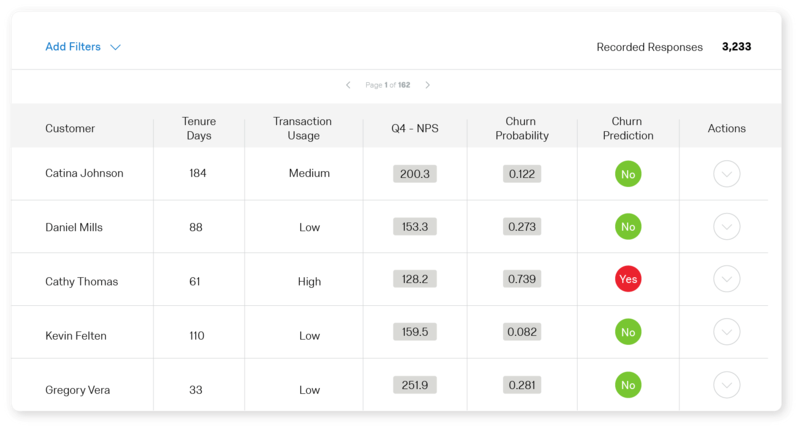 With Predict iQ, you can bring together NPS® with your operational data, such as spend or repeat visits, to predict behavior and its potential outcome on your core operational metrics so you can step in when your customers need it most. 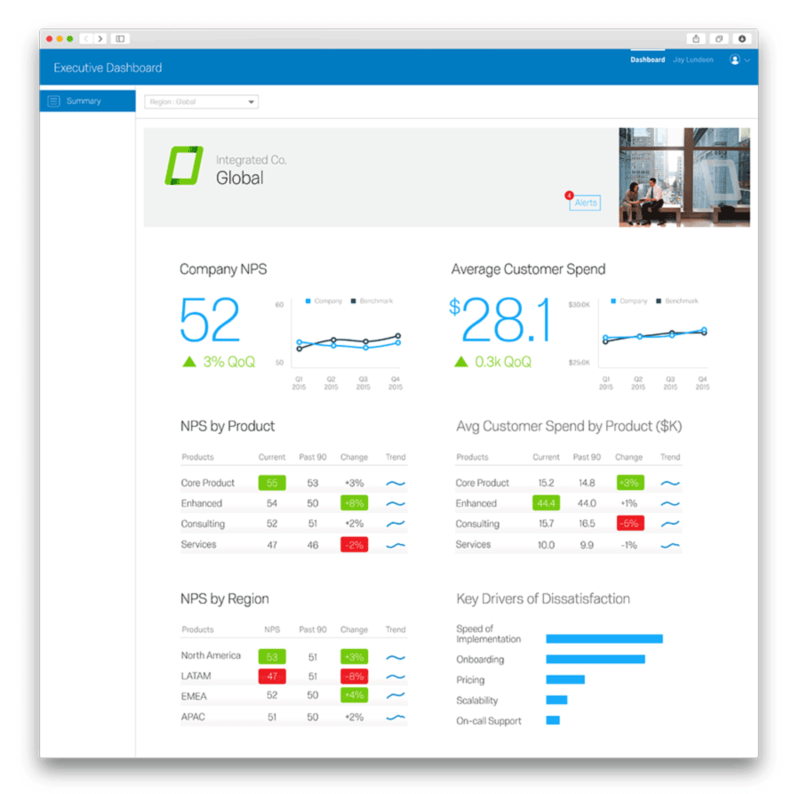 Get the right information to the right people in the organization with role-specific, flexible dashboards and pre-configured reports. It means you get the right information, to the right people in real time so they can act quickly to improve the customer experience. Get up and running with a best-in-class CX program on the most powerful CX platform in no time. 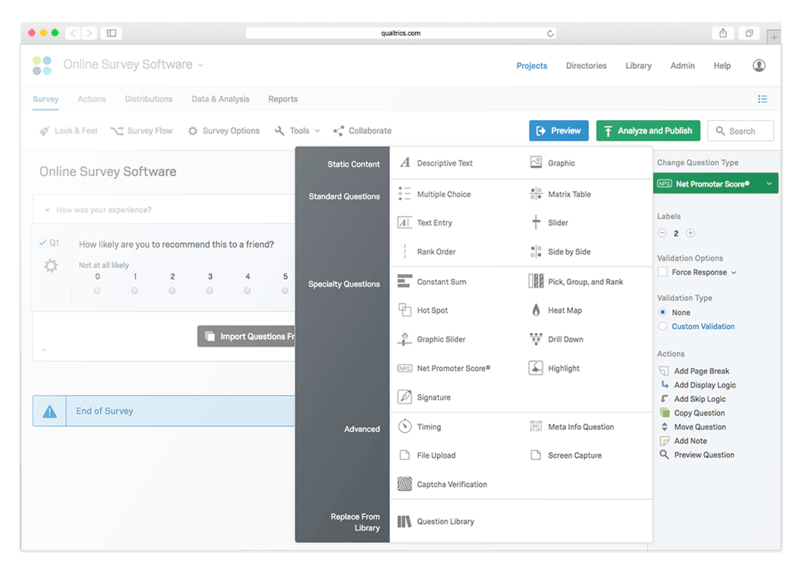 Certified XM Solutions, customized for your industry, deliver prescriptive CX programs, with expert content, workflow, and automation built directly into the Qualtrics platform. From relational and transactional NPS to full journey customer experience programs, understanding and optimizing your customers’ experience has never been easier. What is Net Promoter® Score (NPS)? Promoters (scale points 9 and 10): Promoters are your customers who are loyal and enthusiastic about your organization and will continue buying and referring others. Passives (scale points 7 and 8): Passives are generally satisfied customers, but lack the enthusiasm of Promoters. This group is vulnerable to competitive offerings and not immune to defection. Detractors (scale points 0 through 6): Detractors are often unhappy and can diminish your brand through negative word of mouth. *NPS is a registered trademark, and and Net Promoter System are service marks, of Bain & Company, Inc., Satmetrix Systems, Inc. and Fred Reichheld.